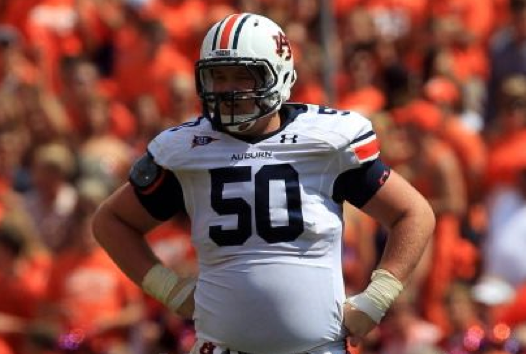 For the Auburn Tigers, Saturday, September 17, 2011 was THE DAY NOTHING WORKED. And thus here we are, your intrepid Wishbone columnists, doing our first ever column following an Auburn loss. Yes, that’s hard for us to believe, too—but it’s true. We started this feature the week before last year’s Clemson game, and now we have come full circle. Our first loss. But, anyway—back to the topic at hand: For Auburn on Saturday, NOTHING WORKED. Tre Mason? No big kick returns. Barrett Trotter? It was his worst game; admittedly, though, he hasn’t yet compiled a large body of work to judge him by. Mike Dyer? He appeared to be doing pretty darned well—when he was in the game. But…he was missing for long stretches. What was up with that? More in a bit. The linebackers? Don’t get us started. Or, rather, wait a few paragraphs. The ever-reliable Gus? He seemed to be making very…odd…decisions on key plays, the most egregious of which was the third and 2 play in the second quarter, which in hindsight seems to have been the fulcrum about which the entire game turned. The always-resilient Auburn defense in general? Umm… yeah. About that. Clearly, Bynes, Fairley, and Washington were the greatest talents ever to play on defense at Auburn, because they made this defense last year look… well, okay, and occasionally very good. Without them… not so much. Okay, well, at least there’s the perpetual bright light this season of Cody Parkey, who nailed another field goal—he’s yet to miss—and did fine with the kickoffs. But other than him…! So let’s hold our collective noses for a couple of minutes and talk specifics. Here’s a shocking news update for you: This Auburn team is very bad on defense. In the modern era, there have been several very poor Auburn teams in general, but in every case, those teams had at least a decent defense. Even the woeful 1992, 1998, 1999, and 2008 squads, each of whom would have struggled to score many points against the local day-care center, had a decent-enough defense. If this year’s team could go back in time and borrow the defensive units of any one of those years’ teams, it would be in contention to win 8-10 games at minimum. So what we’re seeing this year is something of a new development: an Auburn team that can’t play defense. When the good lord sent Pat Dye to us in 1981 in answer to years and years of fervent prayers, that great prophet of the gridiron proclaimed that DEFENSE would be the rock upon which he would build our house. And he did. And for all these years after his retirement, we’ve always continued to lean on that rock. If the offense is partially to blame for the defensive woes, I don’t think it’s the fast-paced nature as much as it’s the inefficiency on 3rd downs. Last year, AU was ranked #3 in the country, converting 53% on 3rd down. This year, we’re ranked 90th, converting only 35%! well, not for nuthin’, but we did have an almost automatic 3rd down conversion weapon last season the likes of which we will likely never see again. but this season’s numbers do have to get better. i’m more worried, however, about how the defense folds to their 3rd and longs. Rumors about Dyer? What rumors? How could he not be happy? He broke Bo Jackson’s freshman rushing record last year. Unless, Chizik called his mama fat and Malzahn stole the pudding cup out of his lunch box, I don’t know why he wouldn’t be happy. But I am not a frequent flyer of the message boards. But “power” ranking a 1-2 MSU team who has lost to Auburn over a 2-1 Auburn team that has beat them strikes me as a little… preposterous. Tiger7: It’s a valid point, obviously… but our ratings vary from week to week, and I believe it is our contention that the Auburn we most recently saw playing–ie, the Auburn of the second half against Clemson– couldn’t have stayed in the game against MSU. If Auburn’s two halves against Clemson could be reversed, and they had finished strongly, we would have ranked Auburn higher than MSU. The play that Dyer ran so successfully is called a buck sweep, where he takes the ball and runs behind two pulling linemen, hoping to burst through the hole they open up in the second level. A stretch is a zone-blocked run play with no pulling linemen, where the HB takes the ball and looks for an open gap. It bugged me to no end that the commentators kept calling that play a stretch, when it could not be further from the stretch in terms of line mechanics and tailback play. i don’t claim to know anything and i don’t frequent message boards, but i don’t feel like dyer could really be THAT hurt, considering he ran for 151 yards on those 16 carries. and the week before he had a similar line of 18-150. if this is him hurt, how good will he be healthy?! then again, i’d rather believe he’s a little banged up then that he is in the coaches doghouse. I know a lot of people are wanting to scream ‘fire’ over Ted Roof’s defense. However, I think he had players in good positions to make plays, and they simply didn’t. You can still say it’s his fault though because it’s his defense and his players should be able to tackle. If you believe one anonymous message board poster this year… it should be me. You can have faith in Ted Roof.